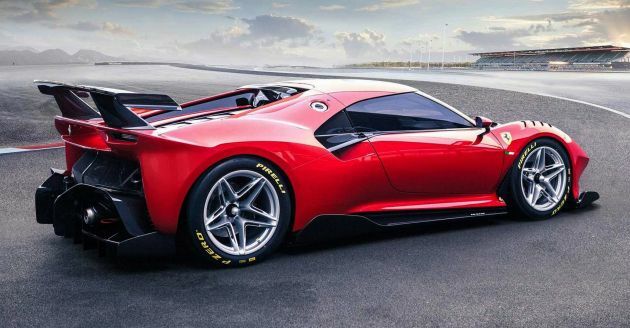 Ferrari has unveiled the P80/C, a one-off creation commissioned by an unnamed collector. The price tag of the special build hasn’t been revealed, but based on the work – and time – that has gone into it, it sounds like some serious money has been spent. Four years in the making, it’s based on a 488 GT3, but heavily-reworked. The design brief was to come up with a modern sports prototype, inspired by the likes of the automaker’s 330 P3/P4 and Dino 206 S from the ’60’s. Very much a track-focused offering, the car allowed Flavio Manzoni and the Ferrari Styling Centre to adopt an unrestricted approach in how it could be developed, allowing plenty of research – both in terms of design and engineering – to be carried out.The company says that every element of performance and aerodynamics was meticulously analysed, making it very different than previous Ferrari one-offs. Without the impediment of regulations and the need for homologation, the design goes to town, eschewing things like traditionally-styled headlights, which on this one has been reduced to simple slits that recall the air intakes in the grille of the 330 P3/P4. The same approach is taken at the back, the tail lights – again shaped like air vents – incorporated in the rear spoiler. With a 50 mm longer wheelbase that the 488 GTB, the P80/C features a cockpit with a more cab-forward emphasis. The rear end has been totally redone, and design elements include a catamaran-style presentation with almost no rear bodywork, save a simple grille to help take heat away from the engine bay, essentially allowing the car’s running gear to be paraded. Also to be found is a very prominent rear spoiler and a concave engine cover with aluminium louvres. The P80/C is made entirely from carbon-fibre, which the company says has been left bare wherever the parts have a purely technical function. The bodywork is finished in a unique bright red shade called Rosso Vero, the name of which was chosen by the client. The car can be set up for presentation in two styles – on track, it runs on 18-inch single-nut wheels and wears the massive rear wing, while its showcase form removes much of the aerodynamic elements and changes the wheels to 21-inch units. There’s no mention of technical specifications, but with all that has been done, it’d be a surprise if the GT3’s 3.9 litre twin-turbo V8 and seven-speed dual clutch transmission was carried over wholesale and left untouched. The post Ferrari P80/C – one-off special, four years to develop appeared first on Paul Tan's Automotive News. 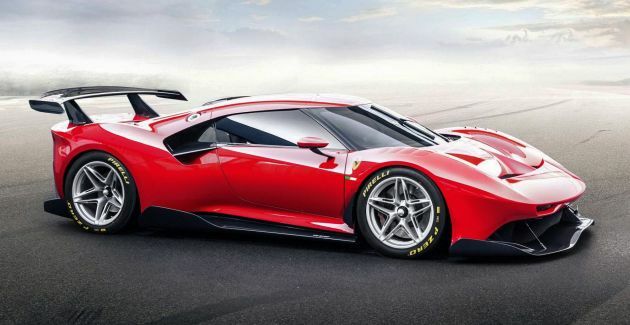 0 Response to "Ferrari P80/C – one-off special, four years to develop"